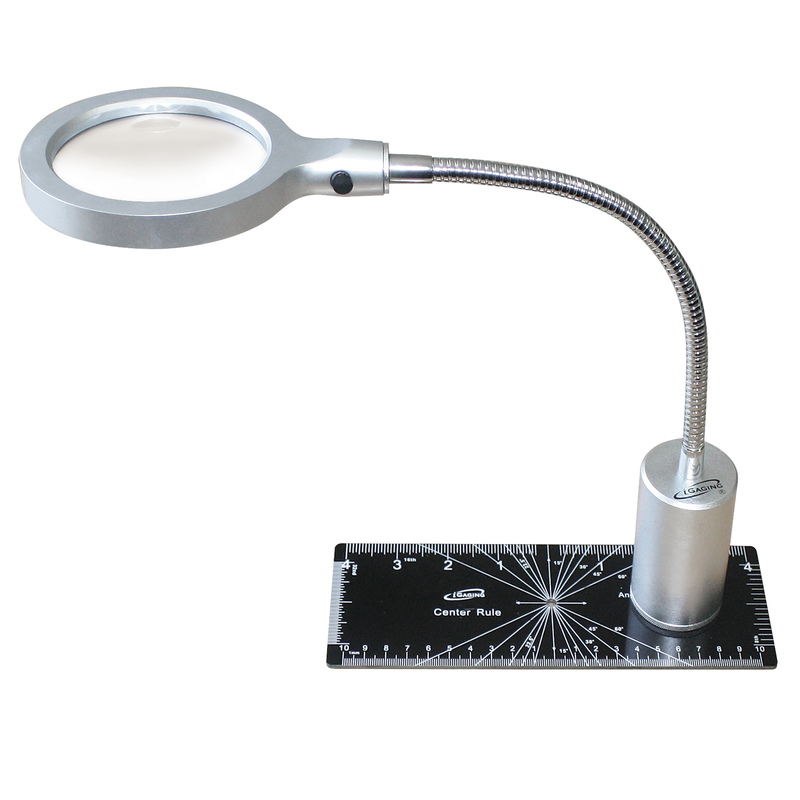 Industrial-quality lighted magnifier has magnetic base that securely attaches to machine tool table, machine frame or steel workbench. Push-button activated ring of battery-powered LED's provides the light you need to see your workpiece through the crystal-clear 3-1/4 inch diameter magnifying lens. Main magnification: 4x plus 3/4 inch diameter 8x spot viewer. 9 inch long flexible metal arm holds lens right where you want it. Bonus: Includes 8 inch x 2 inch steel center-finder ruler/protractor that doubles as a base for the magnifier. Batteries included.